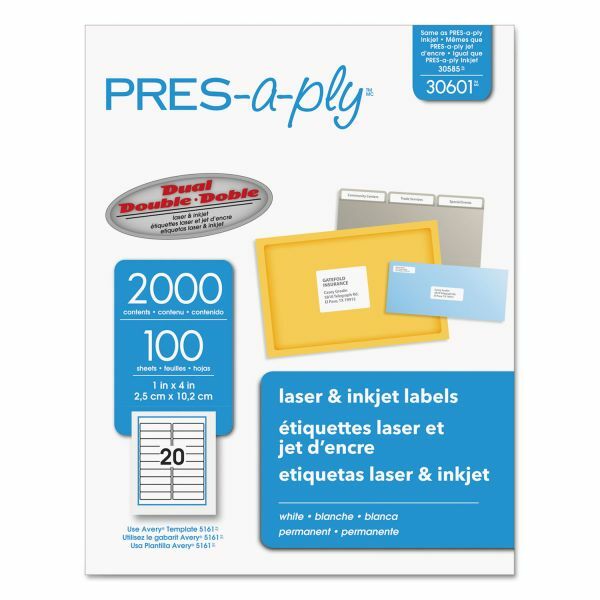 PRES-a-ply Laser Address Labels, 1 x 4, White, 2000/Box - Standard shipping labels offer printing convenience and permanent adhesive. They are great for high-volume, low-cost printing. Letter-size sheets automatically feed from paper tray of your laser and inkjet printers.